Widow Bethany Hanahan is trying in vain to fill an empty heart and an empty nest. The result is a home filled to the brim, but something is still missing. That's when her new gardening club friends come to the rescue, encouraging her to let go of the past as well as the present clutter –emotional, spiritual, and physical. It's not long before Bethany is finding friends, not bargains, to fill her days. But has her life become too full for someone like Pete Sprockett, a childhood friend, for whom her romantic feelings are beginning to bloom? 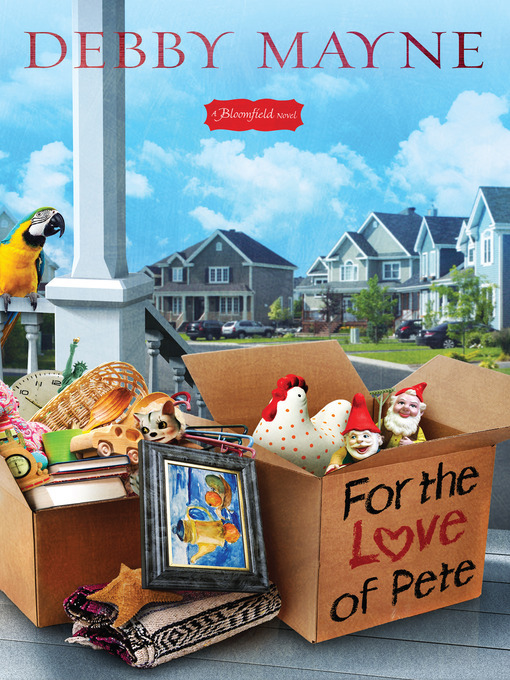 Join the quirky, loving community of Bloomfield as they do what they do best – poke their well-meaning noses in and intervene in times of need –in author Debby Mayne's second novel in what has become a five book series about a community where life is simple and love is real.